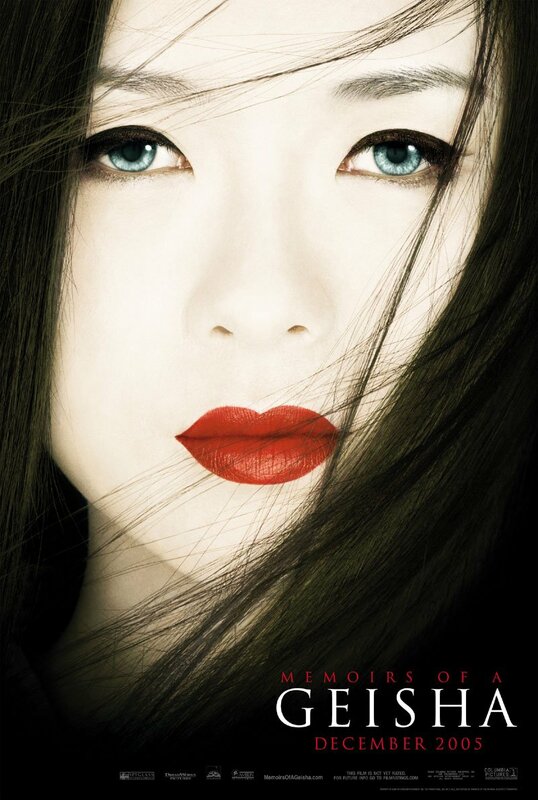 Firstly I would like to say that this is not a film made to educate in the detailed historical facts of becoming a Geisha, it is however a wonderful and moody representation of a superbly written novel by Arthur Golden. The scene is set in a dark and inhospitable area of Japan where a mature, poverty stricken mother & father with their two daughters are living in a shack barely large enough to house a dog. Sayuri (Shizuko Hoshi) narrating how, as a nine-year-old named Chiyo (Suzuka Ohgo, a very talented young actress with a great future if this role is anything to go by) and her sister were torn away from her parents and home on a dark night, in the pouring rain, after her father had sold them both, as he thought into a Geisha household. The older sister is turned down and is taken away to be sold into prostitution, Chiyo is kept on by the Geisha house to be used initially as a servant to the Geisha with the possibility of being trained herself as a Geisha if she meets with approval. The desperation of the situation is intense and the whole mood is set in the dark and forbidding atmosphere of Kyoto in the 1920�s, where starvation and degradation are part of the everyday life of it�s inhabitants. The young Chiyo desperately tries to find her sister and after finding out that she has visited the house, she seeks her out only to find that she is planning to escape from her life as a prostitute. Chiyo returns to her house and plans her escape the next night, unfortunately the plan fails and Chiyo is unsable to leave with her sister. 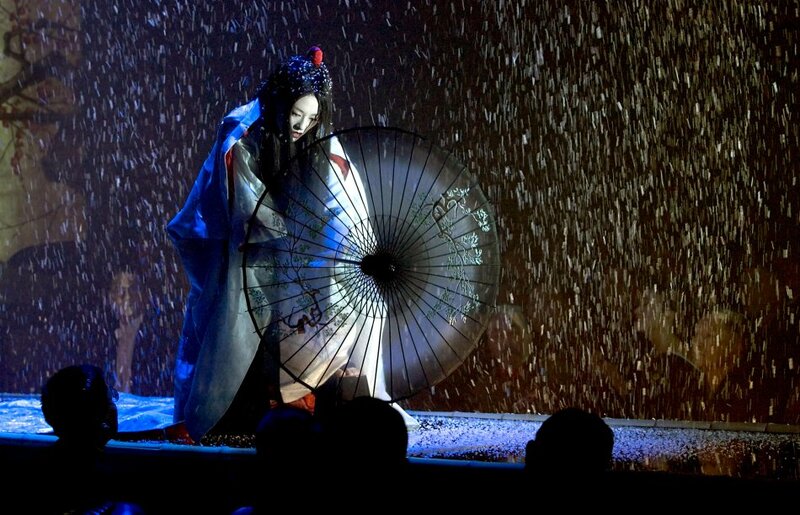 Later Chiyo meets a man (the Chairman played by Ken Watanebe) who is escorting two beautiful Geisha through the streets, Chiyo is overcome by both the beauty and grace of the Geisha and the kindness of this man to her, a poor servant. Her life is changed forever as she holds on to a keepsake (the Chairman�s� handkerchief offered to her to wipe away her tears) and the memory of the man she now believes she is in love with. The film goes on to portray the cruelty of the household to Chiyo, her eventual luck as a rival Geisha from a local house offers to take her under her wing and teach her the ways of Geisha. The fact that she is set the task of learning in six months, what would take most girls years to learn is rather far fetched, I guess this can be forgiven as artistic license. Chiyo�s eventual debut as a Geisha, having her name changed to Sayuri as a celebration of the fact that she is now a fully fledged member of the Geisha household, her virginity sold to the highest bidder does in some way portray the worthlessness of the life of these women. The story details the way that Sayuri enters into relationships with her sisters (both as friend and enemy to some) and also about her undying love for the man who first gave her the confidence and interest to continue her training to become one of the most famous and wealthy Geisha of her time. The story continues into the sensitive area of the beginning of the Second World War where the whole structure of life for civilians in Japan is sent into turmoil. The innocence of the Geisha�s knowledge about the world outside their life is apparent and although the details of Japans involvement in the war are not particularly touched on, the general atmosphere of panic and confusion is well represented. I think this sensitive area was best left alone although many would perhaps say that the atrocities of Japan�s involvement in the war should have been portrayed, politics were wisely kept out of the story line. Of course, the film ends happily (but I�ll not go into too much detail in case any of you are planning to see it). The story gives some explanation about the intensive training given to the Geisha, and does to some degree disprove the often incorrectly assumed myth that Geisha were prostitutes (although this was the case at the end of the Second World War particularly when there was an insurgence of American soldiers into the country). It also shows the rewards of the successful Geisha who are often from very humble backgrounds, making them into successful and wealthy individuals in a country where the riches and luxuries available to them could only be dreamed of in any other walk of life. This is not to say that the life of a Geisha was wholely envied as they were in a way prostitutes of the mind although usually not the body. On the whole - Great directing and camera work excellent acting, marvellous costumes and very interesting choreography. I personally would prefer more historical fact and realism but for the average film go�er I would say that the lack of �in depth� detail keeps the plot easy to follow. It is a great shame that the film is banned in China and that the stars were not of Japanese origin, but at the end of the day I think the actors did a fine job. At the end of the film, the audience in the cinema were silent, I thoroughly expected a round of applause and that would have been a deserving finale. A good, interesting drama with just enough romance, fact and character association to keep you focused, far better than the Pride and Prejudice / Emma British romantic drama equivalents.